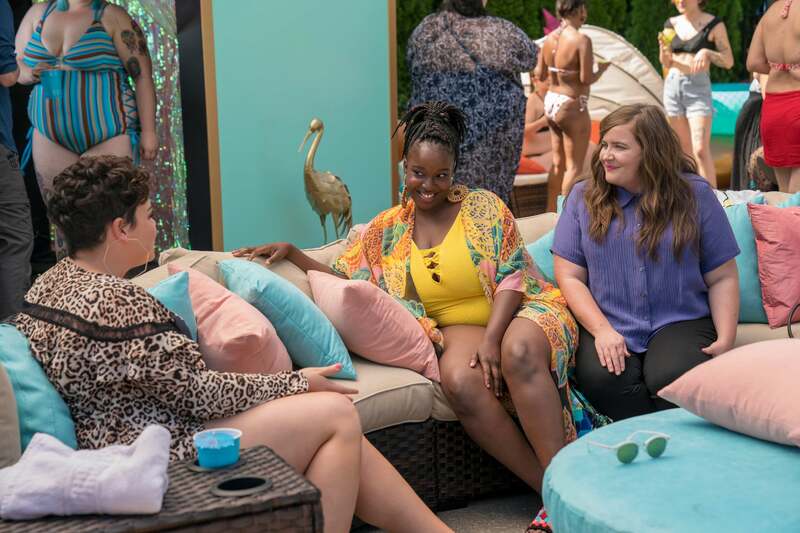 Hulu’s new comedy Shrill is getting plenty of buzz for its honest, funny depiction of a plus-size woman navigating the ups and downs of her life. The series is remarkably short, even by the standards of streaming platforms: it only runs for six episodes. With the positive reception, viewers immediately wondered whether there would be a second season, and now Hulu has finally announced that yes, Shrill will be back for season two! Per The Hollywood Reporter, the show’s sophomore season will expand from six episodes to eight. Last month, Aidy Bryant told the outlet that she hopes it will run for even more seasons, so they must have a few ideas for Annie’s story already in mind. Shrill is based on a stand-alone book, Lindy West’s bestselling 2016 memoir, Shrill: Notes from a Loud Woman. Initially, Hulu ordered the show as a limited series. Since there is only the one book for source material, and the series wraps itself up pretty well, it seemed to point to Shrill being a one-off series. That being said, there have definitely been instances of stand-alone source material growing into multiseason adaptations. Big Little Lies continued on after the storyline from the book was exhausted, and it’s rumored that Sharp Objects will be ordered for a second season. West is one of the show’s cowriters, so it would make things even easier to have the original author (and subject of the original memoir) on board. Like its fellow streaming platform Netflix, Hulu does not typically release much viewing data to the public, but we have to imagine the decision was made due to both the extremely positive critical reception to the series, as well as high viewing numbers. Either way, we’re happy Hulu decided to take a chance on a second season of Shrill!